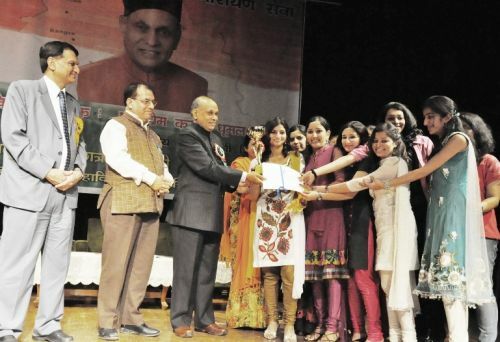 In the Annual Prize Distribution Function ERUPTION -2012 organised by Government Dental College, Shimla at historic Gaiety Theatre here today, Chief Minister Prem Kumar Dhumal claimed that his Government was committed to provide better health care facilities to the people at their door steps and urged the doctors to volunteer themselves to work in rural areas which would be a real service to the suffering humanity. Chief Minister said that Dental College had been provided approval by Dental Council of India during the regime of BJP Government in 1998, although the College was started in 1994 without obtaining the requisite permission from Dental Council of India by the previous Congress Government by playing with the future of students admitted to BDS courses in 1994. He said that similarly it has happened with opening of Dr. Rajendra Prasad Government Medical College and Hospital at Tanda in year 1998 where 50 students were admitted to MBBS course without obtaining permission of Medical Council of India. He said that on coming to power in 1998, the BJP Government took up the matter effectively with Medical Council of India and succeeded in obtaining its recognition for MBBS course in Dr. Rajendra Prasad Medical College, Tanda. He said that BJP Government had provided adequate budget for creation of quality infrastructure at Tanda Medical College to facilitate the medical students and secure their future prospects. Prof. Dhumal said that State Government had been considerate towards the genuine demands and requirements of medical students and faculties. He said the stipend to intern of medical colleges had been enhanced from Rs. 5000 to Rs. 8000 per month and PG students which were getting Rs. 25,000 to Rs. 27,500 were given enhanced stipend of Rs. 30,000 per month. He said that honorarium of senior lecturers had now been enhanced to Rs. 35,000 while other specialists were now getting Rs. 40,000 during first year, Rs. 42,500 during second year and Rs. 45,000 during third year. He said that State Government had succeeded in getting enhanced MBBS seats and PG seats in different disciplines in medical and dental colleges of the State. He said that 13 PG seats had been provided for different disciplines in Dental College. Chief Minister said that it was during BJP regime that national level institutes of vocational status had been got sanctioned and some of them were likely to be started in near future. He said that ESI Medical College and Hospital complex at Ner Chowk in Mandi district was nearing completion and would start admitting the students to MBBS course besides providing specialised medical facilities to the people of different States of Northern India. Chief Minister conferred KR Bhardwaj Memorial Gold Medal and Award to Dr. Sunil Kumar student of Dental. He also gave away prizes to the toppers in the academic and other activities during preceding academic years. He announced Rs. 25,000 for the promotion of cultural activities in the college. 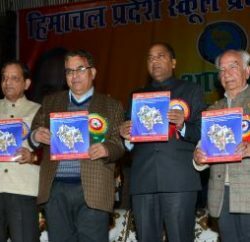 Prof. Dhumal also released souvenir brought on the occasion. 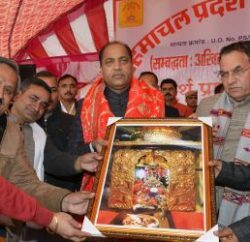 Suresh Bhardwaj, local MLA who presided over the function lauded the achievements of the State Government in the health sector and said that it was due to the consistent efforts made by Chief Minister that MBBS seats had been increased to 200 in Shimla and Tanda Medical Colleges. He thanked the Chief Minister for upgradation of Civil Dispensary in Shimla town to Primary Health Centre. 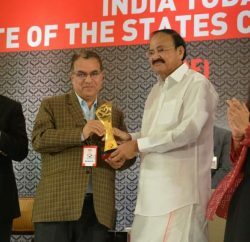 Dr. Jai Shri Sharma, Director, Medical Education welcomed the Chief Minister and thanked for his patronage to Medical Education which had been beneficial in producing medical professionals of eminent. She said that specialized dental services were also available in the college. Dr. R.P. Luthra, Principal of Dental College read out the annual report of the college for previous financial year 2011-12. S.S. Kaushal, Principal, IGMC, Shimla, Susheel Tanwar, Founder Chairman, Ashadeep NGO, senior officers of the State Government and prominent persons were present on the occasion among others.